Our February Cardinal Clash took place on Saturday, February 9th (for grades 5, 6 & 8 both boys and girls) and Sunday, February 10th (for grades 3, 4 & 7 both boys and girls). 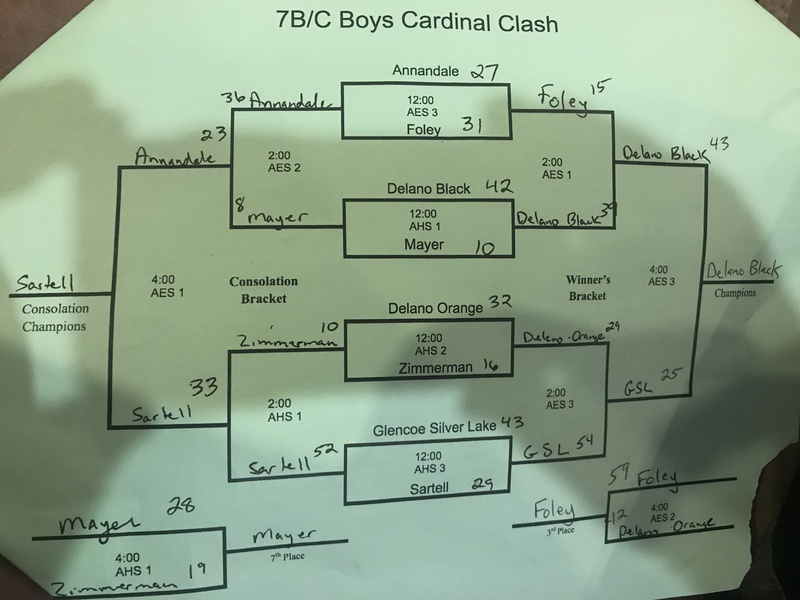 Our December Cardinal Clash took place on Saturday, December 1st (for grades 4, 5 & 7 both boys and girls) and Sunday, December 2nd (for grades 3, 6 & 8 both boys and girls). Games will be played at both Annandale High School and Annandale Elementary School where each gym has 3 full sized, hardwood floor courts.